Ancient Carnelian 800 B.C. in modern copper wire & findings reconstruction. 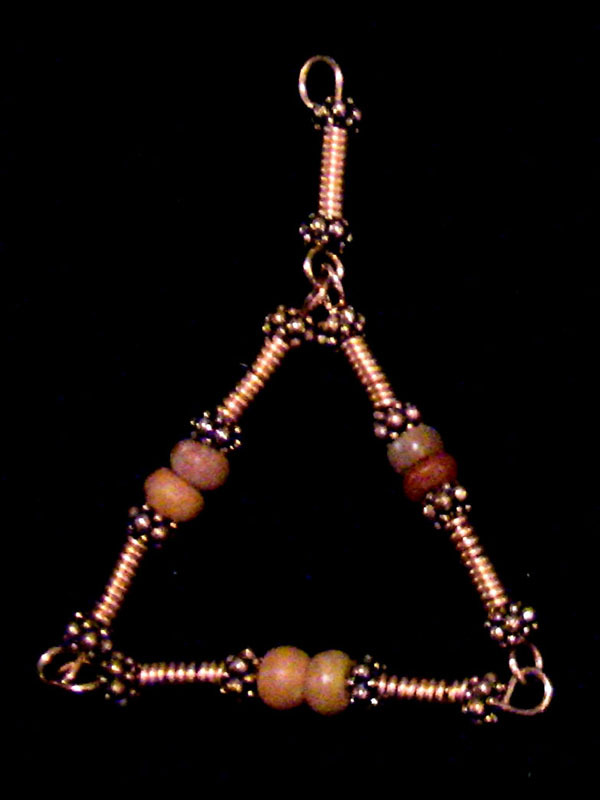 The above Triad uses ancient carnelian from the beginning of the First Millenium, at a time when beadmaking was at an all-time high, and beads served largely as money and family wealth. The women of the family wore the Family Jewels to display their social status.